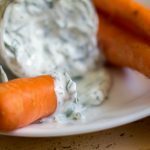 Looking for a tangy and flavorful dip for all those fresh veggies you are harvesting from the garden or buying at the market? 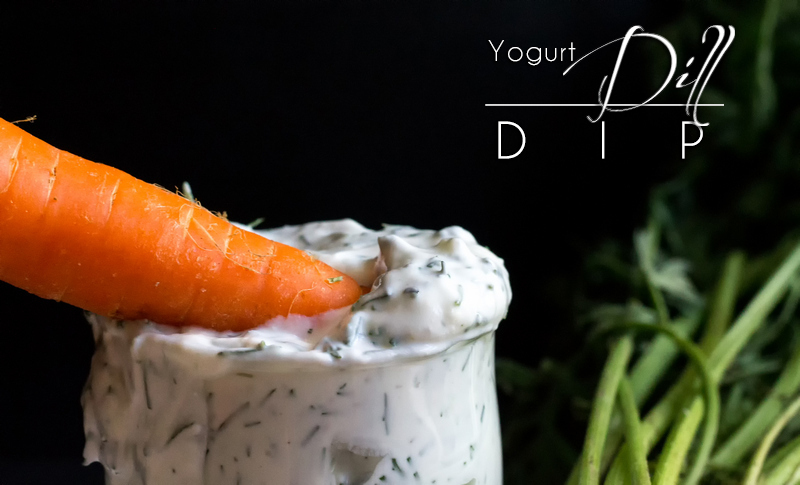 Look no further, this yogurt dill dip is quick, easy and versatile! 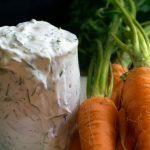 As a veggie dip or atop chicken or fish on the grill! Use cultured yogurt, or make your own dairy free version! JULY! Oh my goodness, where are you going? We are already halfway thru this month, and halfway thru the year! Summer is in full swing. Raj and I have both had family in town and the canning has started! Last week we made dill pickles, and later today my jam pot will be bubbling! Strawberry and rosemary raspberry are today's tasks. Now is a great time to check out your local market if you have one. Pick up some in-season fruits and veggies and enjoy the summer bounty! The dill, garlic, onion, and the carrots pictured all came fresh from the morning market, I make sure to get there early to get the best produce and beat the crowds. The produce was so fresh and beautiful I didn't even wash it, just put it on the plate and ate it, dirt and all! I'm feeling out of sorts. Not myself recently… summer does this to me, my day job is hectic, and there is so much going on it gets overwhelming. I am still struggling with my health. I feel like I don't have anything fun or positive to share today. As a result, I'm going to keep it short and sweet, and let this zippy Yogurt Dill Dip speak for it's self. 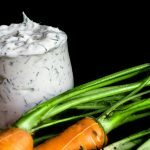 Looking for a tangy and flavorful dip for all those fresh veggies you are harvesting from the garden or buying at the market? 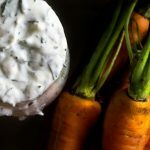 Look no further, this yogurt dill dip, is quick, easy and versatile! 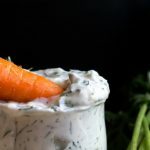 As a veggie dip or atop chicken or fish on the grill! 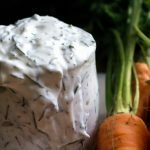 Use cultured yogurt, or make your own dairy free version! Combine all ingredients together in a bowl and mix well. Let sit for an hour, and stir before serving. 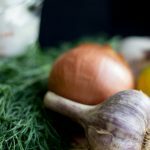 You can use dried dill, garlic, and onion, I would use 1/3 less to start and adjust from there. As it is much easier to add more, than it is to take spices out!